"A durable wallet alternative that'll keep your iPhone and your credit cards safe and protected"
"Can survive drops from 4 feet"
"Has a novel vintage camera style to it"
"Reliable protection against drops and bumps"
"Vena Galaxy S9 and S9+ Smartphone Cases Have You Covered"
Vena vCommute patented design combines convenience and functionality to enhance your user experience with your smartphone. You can conveniently store your ID, credit or debit cards, business cards or transit cards in the hidden card slot on the back of the case. 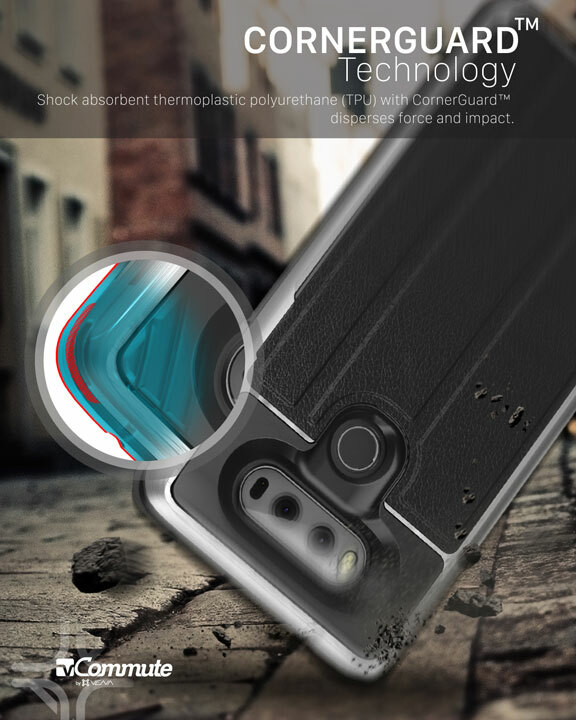 Made from high-quality polycarbonate (PC) and shock-absorbing thermoplastic polyurethane (TPU), this smartphone case has been drop tested to meet MIL-STD 810G-516.6, surviving 26 drops from 4 feet high. 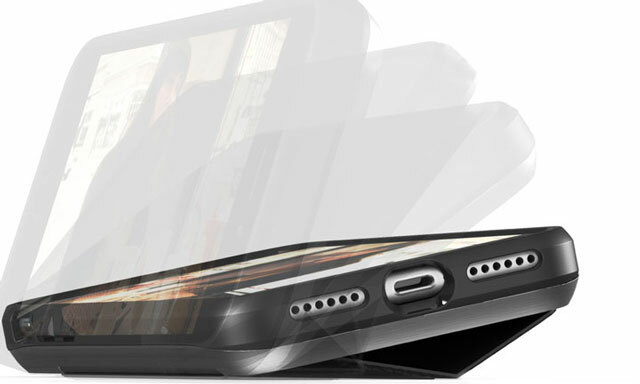 The TPU layer on the inside of the case ensures your cards remain scratch-free. 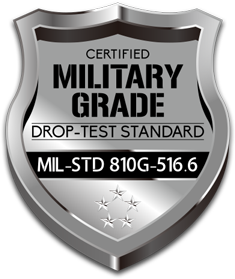 vCommute is compliant with a military standard test (MIL-STD-810G Method 516.6, Procedure IV "Transit Drop"). *This product may not perform as tested in all conditions as test were performed in controlled environments. Do not attempt. The high-quality shock absorbent thermoplastic polyurethane (TPU) does not stretch out over time. 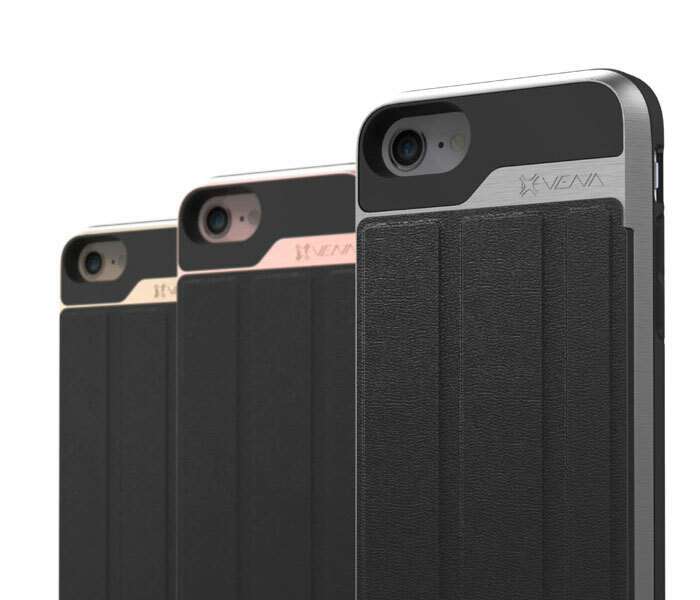 With CornerGuard TM technology and unique pattern, Vena vCommute protects your smartphone and disperses the force from shock and impact through the TPU case. 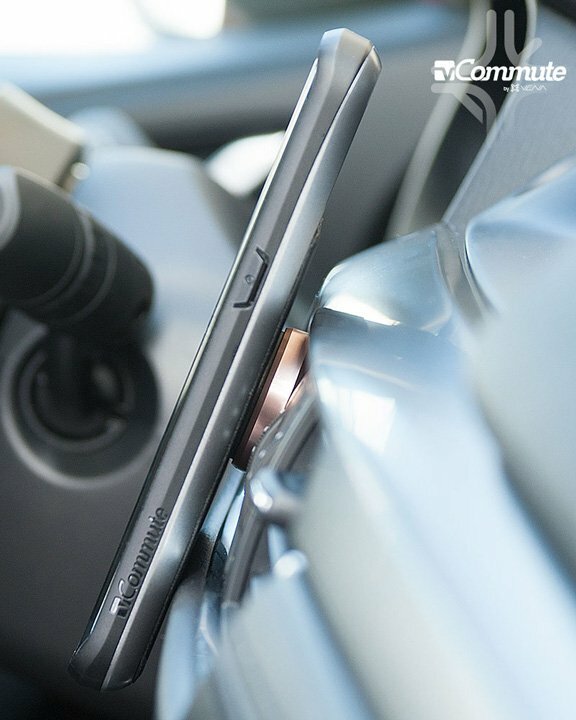 The magnetic leather flap on Vena vCommute is compatible with magnetic car mounts – no additional plate or adhesive needed. Vena vCommute is designed with precision cut-outs to suit your smartphone and provides effortless access to all ports, buttons, and features. The power and volume button are crafted to maintain the same great tactile feedback from your phone’s button.